I completed a trade recently with my good friend, Noah. He landed a ton of Tigers cards and I got some cash, and a couple Orioles autos. One of the autos is the above Josh Hart and the other is not pictured, but was my third 2011 Bowman Sterling Mychal Givens auto. Hart and Givens have both done well for the Orioles this year, especially Givens. A former shortstop, Givens was converted to a reliever. With his unorthodox sidearm delivery, he has been tough to his this year. He even got a tast of the majors this month. 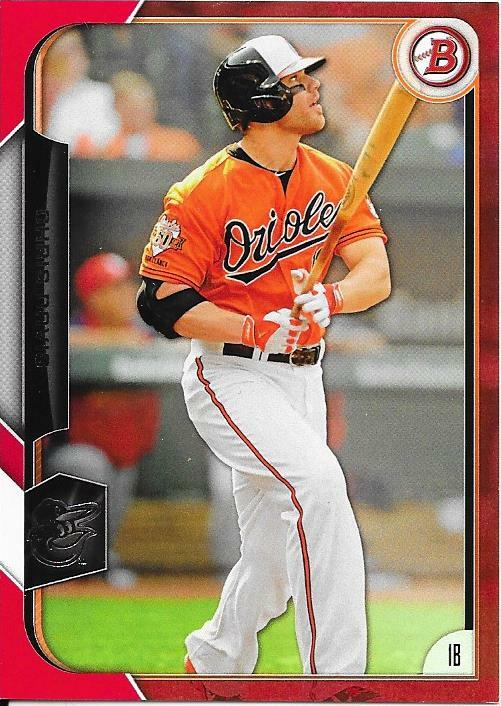 Hart is currently batting .290 for low A Delmarva and should see some time at high A Frederick this season. He was a first round pick by the Orioles in the 2013 draft (#37), their second pick of that round behind Hunter Harvey. 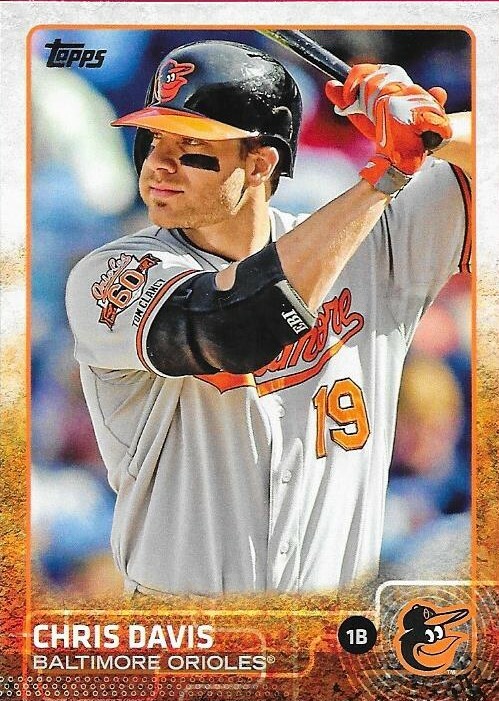 I added a nice low-numbered parallel to my Chris Davis collection the other day when I picked up this red parallel. 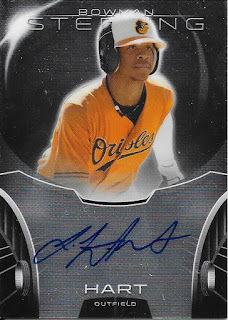 It is numbered 5/5 from 2015 Bowman. 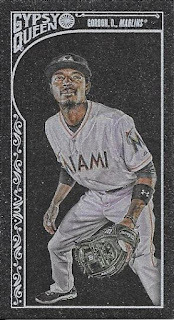 I need to update my list, but I already have quite a few parallels from 2015 Bowman. I need to get the 1/1s so I can get a rainbow accomplished. I have been going for rainbows for a while, but have yet to be successful. I'll keep trying, though. 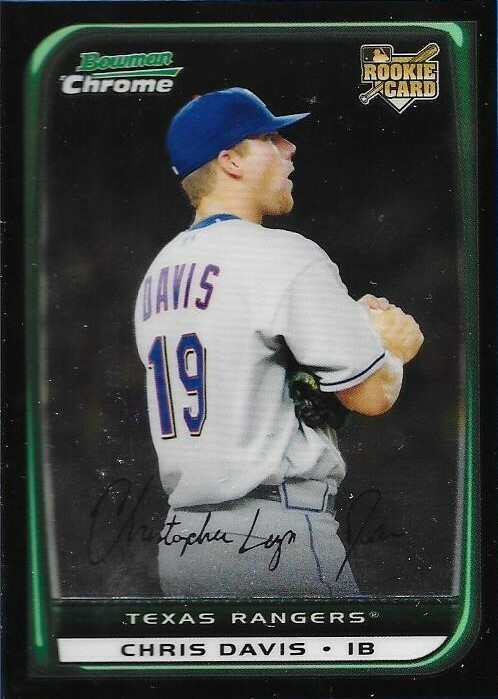 I have several more Davis cards coming in, so I need to keep up on my list. I have done really well with it so far. It's just a chore. Imagine the kind of blizzard it is going to take for me to log all of my Cal Ripken cards. Oh joy. 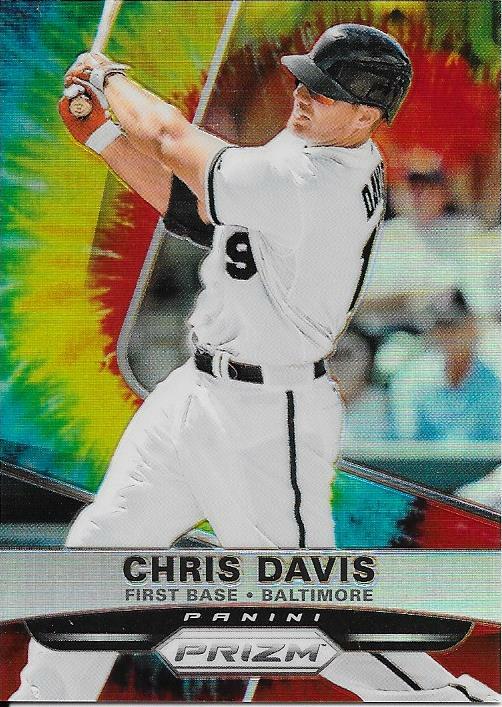 I got another card for my Chris Davis PC the other day when I bought this tie dye parallel from 2015 Panini Prizm. The card is numbered 44/50. I had no idea that there was a tie dye parallel in the set this year. Happily, though, I picked it up for a couple bucks. I need to pick up some more of the parallels in Prizm; from what I can tell, there are a lot. The card just looks really cool. I wonder what parallels they will think of for next year. I sure do love these cards. 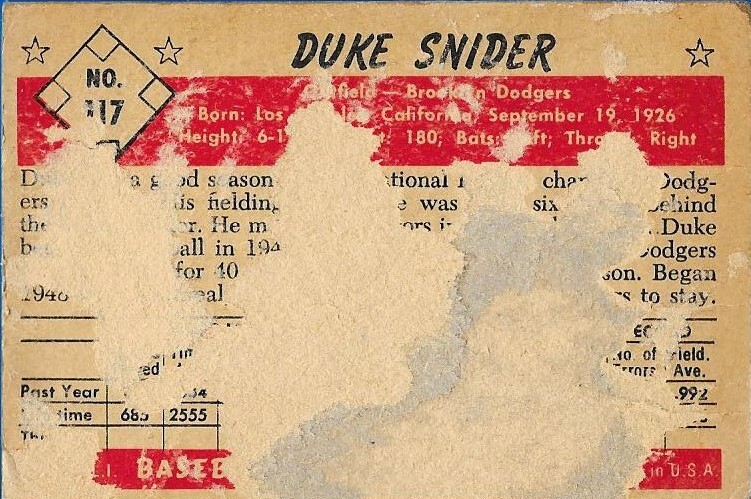 I saw this clear acetate parallel listed on Ebay the other day for $19.99 buy it now, and jumped all over it. I knew that if I didn't, I could miss out on getting one, so I acted swiftly. I'm glad I did, because the card looks so awesome. Numbered 3/10, I got a really low number as well. Seeing this in person makes me really excited for Chrome to come out later this year. 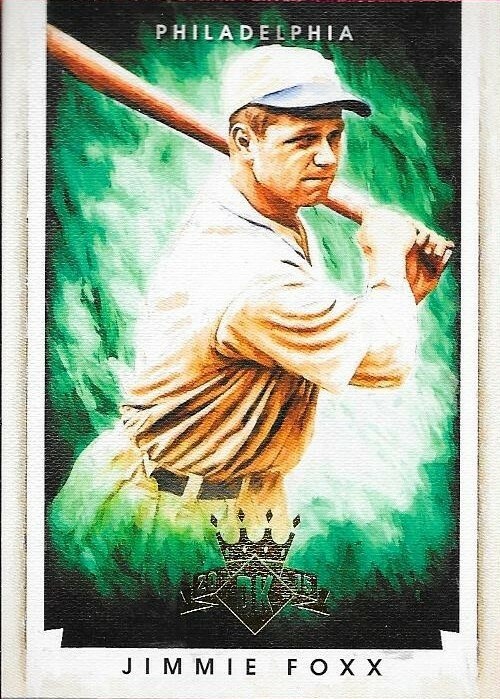 This design of Topps affords a lot of opportunities to see how the other parallels and sets will look. So far, they have looked really cool. I'm just glad I was able to find this really quick and was able to get it in. 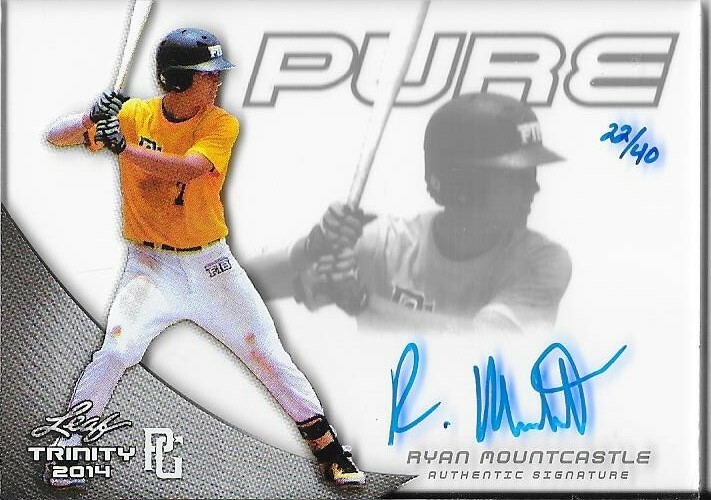 My first pickup from the Orioles 2015 draft class was this 2014 Leaf Trinity Pure Ryan Mountcastle auto numbered 22/40. The card is awesome and marks my second Pure auto, the first being my Hunter Harvey. These are really amazing cards. They're clear acetate cards, which I really enjoy. I remember when Marvel put out acetate cards in one of their sets back in the 1990s, and I had a great time building that set. 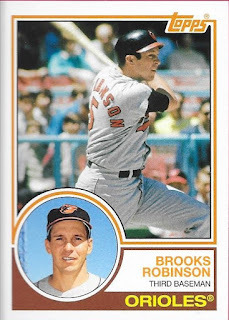 I saw that there is a Brooks Robinson like this one, so you know I will be going for that pretty soon. Mountcastle was the Orioles second pick in the 1st round of this year's draft. He looks to be a pretty good hitter, even thought many of the "experts" felt like the O's drafted him way too high. I'll let his performance tell me how he turns out. I just hope he doesn't turn out like Billy Rowell. 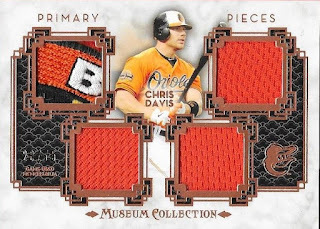 When I look at these 2014 Topps Museum Collection quad patch cards, I can't help but feel like Topps his a grand slam with them. Maybe it's just me, but I think they did an amazing job. Maybe that's why I now have so many of them. This is another piece of the "Baltimore" patch with the Maryland flag. I got it for $14 on Ebay; I couldn't pass it up. I need to make a special trip to the card shop this weekend to pick up some more magnetic cases. I have quite a few cards now that need magnetics. I believe that I will continue to hoard these patch cards as I see them pop up here and there. They just look too cool. 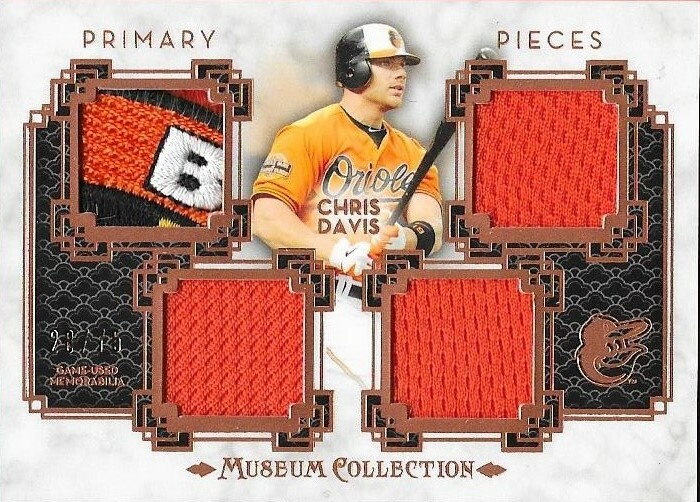 I'm so glad I have kept my Chris Davis PC spreadsheet up to date (for the most part). I was able to use it at the card show when I picked up that 2008 Bowman Chrome card of his. It also came in handy when I made a recent COMC run. I was able to pick up this 2014 Bowman Silver Ice parallel that I thought I already had. Yet, one look at my list, and no, I didn't have it, so I added it to my card. 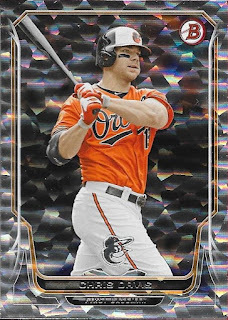 They had the 2015 Bowman Silver Ice parallel as well, so I went ahead and picked it up, too. I also grabbed this purple parallel from 2014 Bowman Chrome, only to find out that I DID have one of them. So much for keeping my list up to date. Andrew had actually gotten me one, as well, since it wasn't listed. I have since corrected that error, and now will have three, once I take delivery of the one Andrew got me. Oh well, never a bad thing to have several numbered parallels. 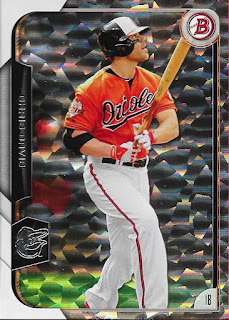 I busted my three jumbo boxes of 2015 Topps Series 2 and got a ton of really nice hits. I got one of the manufactured bat knobs, which I will show in another post. 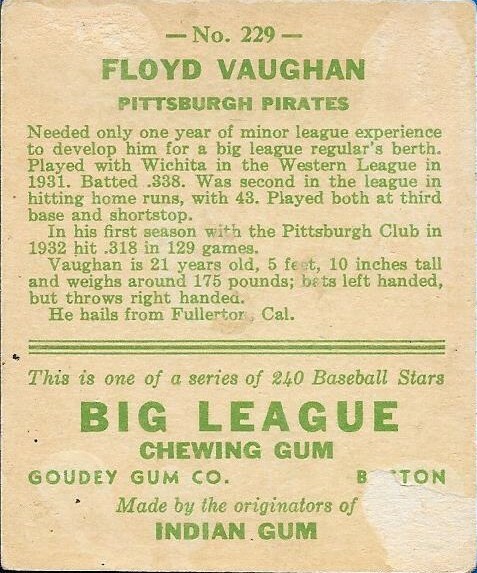 Normally, that (with the player the card was of) would have been one of the best hits, but this birth year coin/stamp card beat it out. I actually pulled two of the coin/stamp cards, the other being Jose Abreu. 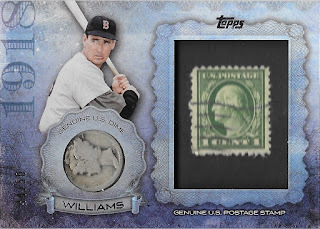 This Ted Williams, though, really did it for me. I mean, numbered to 50 (44/50) and with a silver Mercury dime. Oh man, what a cool card. I collected coins as a kid, long before I got into baseball cards. My dad would bring me little plastic bubbles home that had a couple wheat pennies in them; my grandfather would show me his coin collection (which I wish I could have gotten my hands on when he passed) on rainy Sunday afternoons, and my mom would always facilitate a trip to the local coin shop (do those even exist anymore?). I still have quite a few coins and even some paper money that I have hoarded over the last several years, but whenever I go through it, I always stop and admire the Mercury dimes. I don't know why, but the Mercury dime, along with the Morgan dollar, were always my favorites. Even more, I also collected stamps for a while. My grandmother is quite the stamp collector (I see a pattern here), and I became interested in it one of those rainy Sunday afternoons. So, somewhere around here is my stamp album (yes, I still have it). 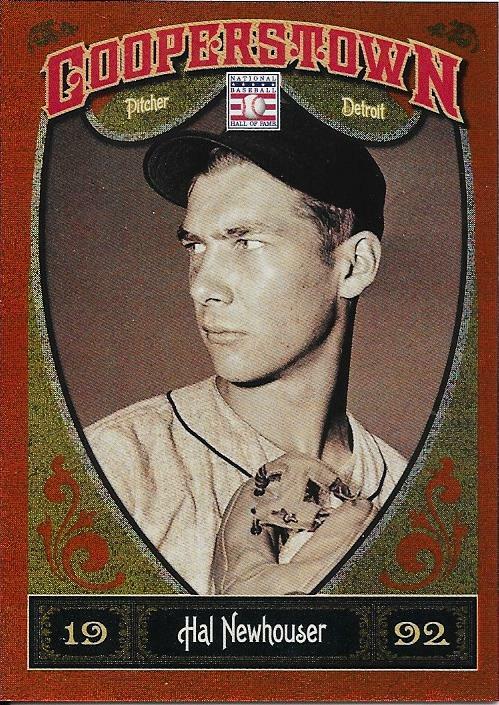 I just find this baseball card really funny, in that it kind of reminds me how my collecting has evolved over the years. Plus, it is a Ted Williams; You can's go wrong with that. So, I was really excited when I pulled this card. I probably will sell or trade the Abreu, but this Williams is getting slabbed in a magnetic case, and will be in my collection for a while. I really like this card! By the way, I saw the Ty Cobb 1/1 dime/stamp card in Ebay this morning. For bid, already at $1,200. Oh man, that would have been a cool pull. After busting my three jumbo boxes of Series 2 Saturday night, I sorted everything this evening. 2015 Topps is now complete, with card number 285 being the last piece I slid into the puzzle. I was really happy with the design this year, and there were a bunch of awesome photos in the set. My one gripe is that Topps needs to quit with the beyond stupid "retirement" of card number 7. I understand leaving it out when Mantle passed away, but the fact that they brought that ridiculousness back recently just leaves me shaking my head. Why not use that spot for a big name player that passed away the year before (maybe Tony Gwynn, since you can see the commemorative patch on Solarte's jersey). I don't know, but it messes with my head that the set stops at card number 701 instead of 700. I'm more tired tonight than I was last night, but I managed to get through today's card show without incident. My wife wasn't able to come and help today, so, I was a one man show, but managed to work out just fine. I ended up selling a decent amount of stuff today, even though the show itsle fwas pretty slow. I had plenty of time to get up and move around, so I found a fellow dealer who had some low priced vintage, which I browsed a few times. In his bargain bin, I found a good bit of well loved vintage that I needed for my collection. 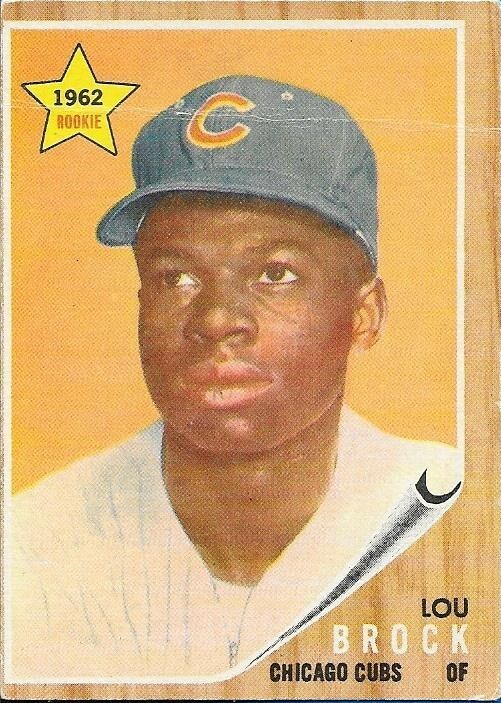 The above Lou Brock is badly creased, but still a nice card. I got it for a steal (can't remember the price). 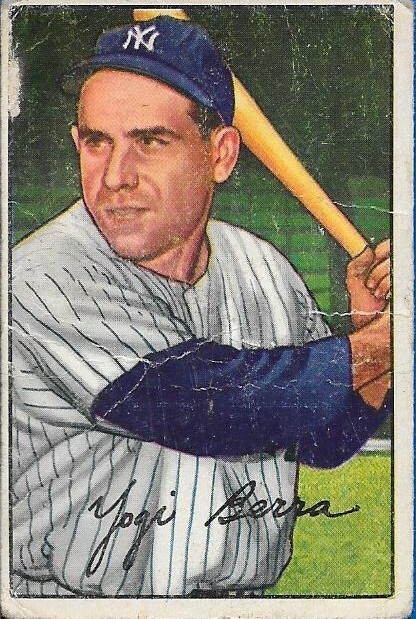 You can see that this Yogi is pretty beat up, but one that I needed in my collection. I like it, and got it for less than $10. 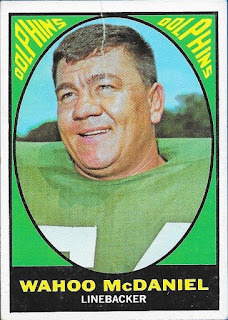 This is now only the second vintage football card that I have. 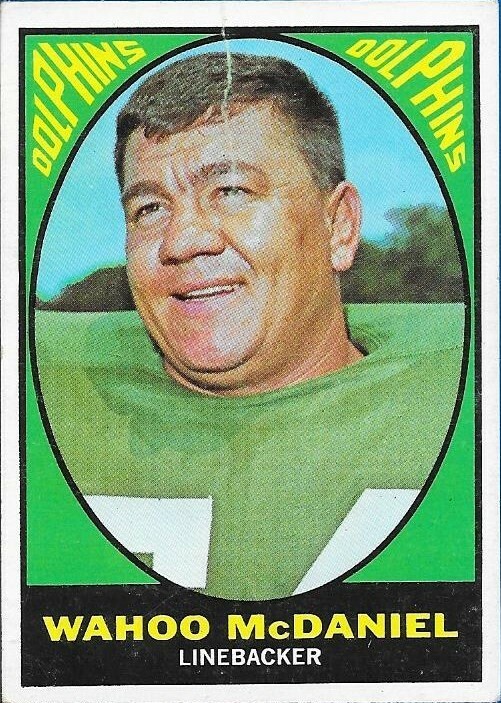 I never once saw Wahoo McDaniel play a game of football, but I did see him a lot in another venue. I used to watch Chief Wahoo McDaniel on Mid Atlantic Championship wrestling take on the likes of Nikita Koloff, Tully Blanchard, Magnum T.A., and of course, the one and only Ric Flair. I watched a lot of wrestling as a kid, and McDaniel was one of my favorites. To be honest, I was really excited to get this card for $9.00. 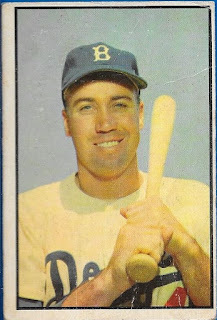 I got this 1959 Topps card from the guy. 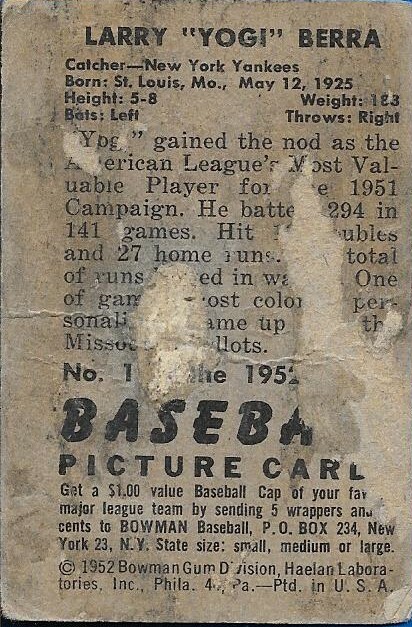 This is actually the same guy that I got yesterday's 1959 Topps set needs from, so I ended up with 6 from him. 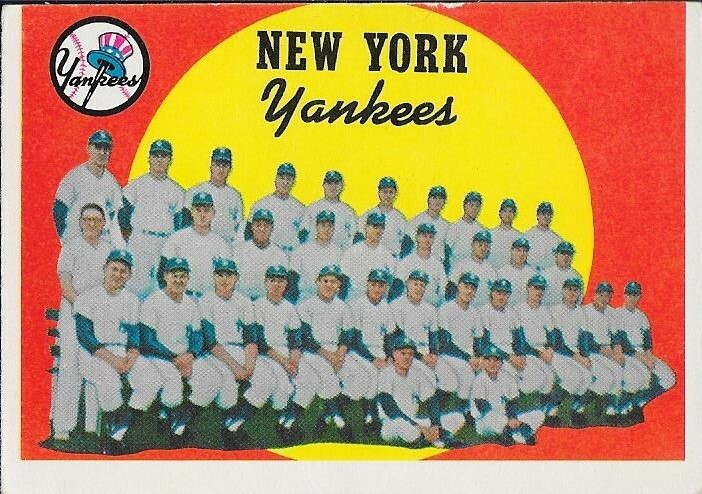 The back of this Yankees team card is unmarked, so that's a plus. Also, it is a high number. 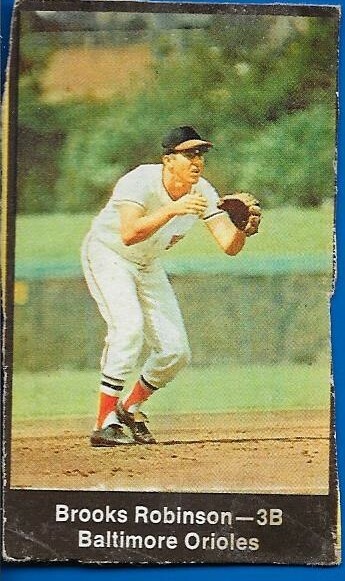 An oddball Brooks Robinson card that I didn't have in my PC was this 1969 Nabisco Team Flakes card. The guy (Kurt) told me that this was a tough find, and I believe him to be right. I got this one for $10, and others in fat better shape, are commanding a much higher premium on Ebay. Kurt was a really nice (and patient) guy, and I would find out later after he delivered my cards to my table (since I had to run to attend to a customer, then pay Kurt via PayPal). I didn't even look through my stuff until a little while later, only to discover that Kurt had added free extras to my stack. 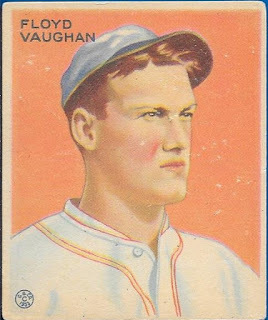 I said yesterday that I had no cards of Hall of Famer, Arky Vaughan; well, I now have TWO. I have his 1933 and now 1934 Goudey cards. Pretty cool! This appears to have come from the same vendor who I got my Feller from. 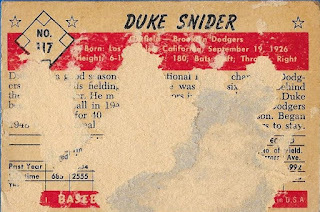 I bet the Snider and Feller were part of the same collection, and Kurt must have picked it up yesterday, only to decide to hand it off to me. 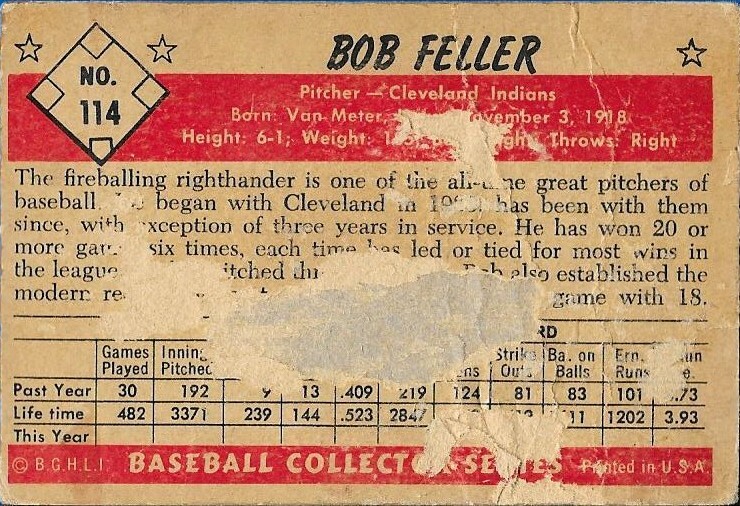 I actually think it is really cool that this and the Feller resided a couple pages from each other for countless years, only to find themselves reunited in my collection. Kind of cool, I think. So, I had $15 left to spend from the budget that I had allotted for myself. 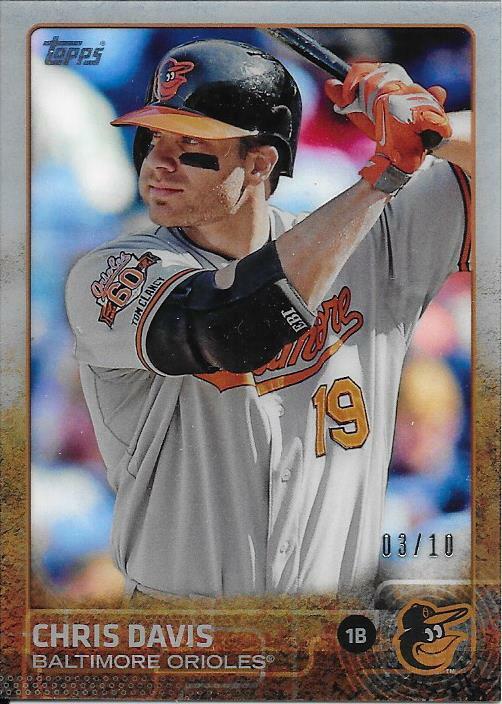 I saw this 2008 Bowman Chrome Chris Davis at the table across from me, so for $5, I picked it up. 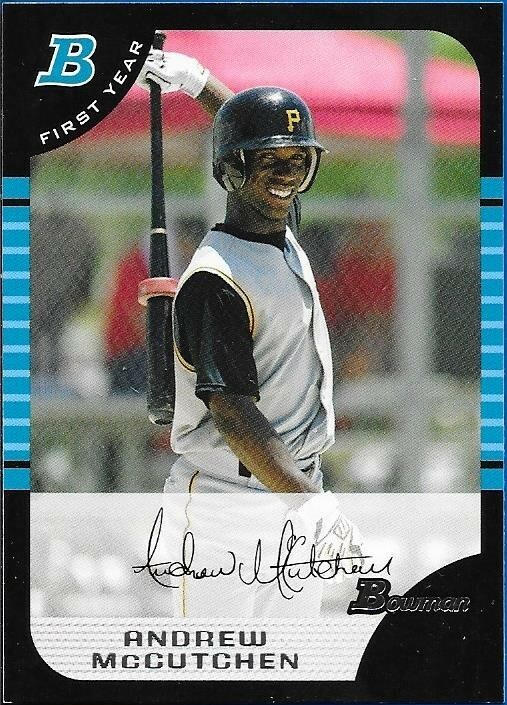 Only thing was, the vendor didn't have $5 in change, so I asked him if he would sell me the below Andrew McCutchen for an additional $5, so I could just give him the $10 I had in my pocket. 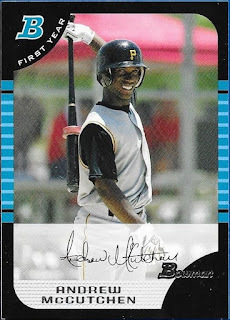 He made the deal, and I got this McCutchen RC that I needed. I probably had one before, but that was way back in 2005, and I probably let it go in an Ebay lot back then. Who knows. I'm just glad to have another. Finally, as the show was winding down, and I was about to leave, I figured I would go ahead and burn the last $5 I had in my pocket. 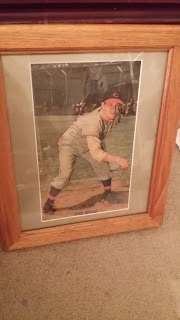 I milled about until I saw this framed photo of Bob Feller. As luck would have it, it belonged to Chandy, a guy that I have known since I was a kid, back when I first began collecting. Chandy operated one of the two former shops that were in Winston-Salem when I was a kid. He closed up back in 2005 and strictly does shows now. I talk to Chandy every time I can when I am at shows, and he is always handy with advice and knowledge. I asked him if he would take $5 for the Feller photo, and he said he would since it was a larger piece and he didn't was to lug it around. Score for the Man Cave!! So, I had a really successful card show, and I am seriously considering signing up for the three day show in July, right before the National. That would continue to help me clear out room, and maybe raise just that much more money to take with me to Chicago. We shall see, but I bet I do the July show. I had so much fun this time, why pass it up? I am wore out from a long day of selling stuff at the card show. For a two-day show, I have already broken even, and still have tomorrow to go. I was able to add to my inventory tonight when I busted my three jumbo boxes of Series 2 Topps, but those hits will come at a later time (the ones that don't sell, at least). I was really happy with the turnout today, and I hope I can sell a few more things tomorrow. I didn't take much money with me to spend, but I was still able to get a few deals. The theme of today's show seemed to be "well loved vintage." I didn't have a whole lot of time to browse, but I did stop by the Huggins Auction booth where he had some vintage cards for 50% off of his sticker price. He had a bunch of Hall of Famers, so I figured I would take the opportunity to add to my collection, a few cards that I wouldn't be able to afford otherwise. The above '52 Bowman Yogi Berra has a really nice front. Pretty worn, and all, but it looks really nice. The back, on the other hand, is rough. 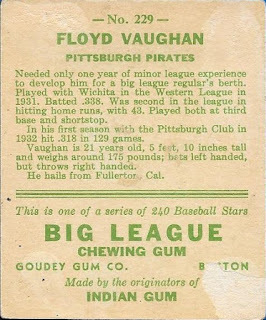 The card would probably grade at less than a 1, but it is still a cool card. I guess you could say that I have a soft spot for the "well loved" cards, and this one fits right in there. I paid $14 for the card, so I think I still did really well. The next card I grabbed is actually a PC need. 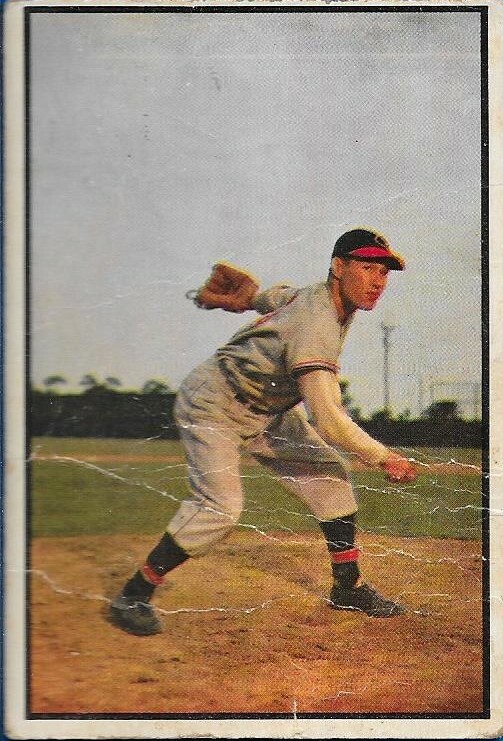 This is a 1953 Bowman Color Bob Feller. The front is kind of rough, as you can see many creases. The back is blown all to crap, though. It looks like the card was taped into an album. I bet it was a kid from back in the 50's who was really proud showing off his collection. I can use this card to fill a spot in my PC until I can find an upgrade. I gor this one for $12.00. The best of the three Hall of Famers, I got this Arky Vaughan for $24.00. 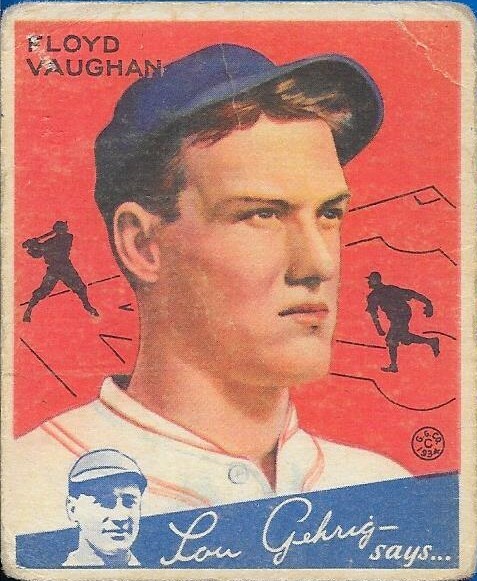 It is a 1933 Goudey, and the front is in really good shape. The back has a little paper loss on the bottom right corner, as you can see. 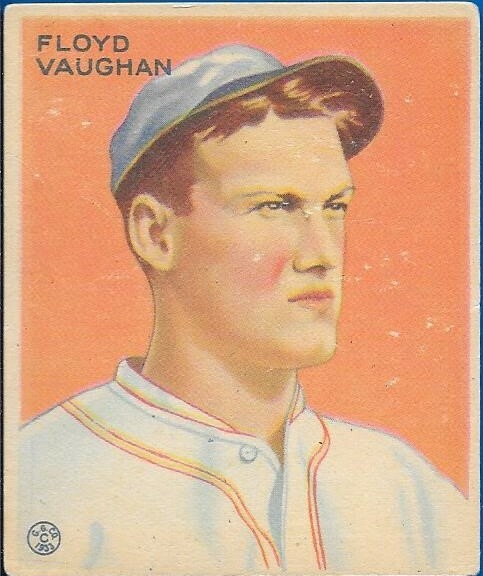 It is still my first card of Vaughan, and I am glad I picked it up. This 1976 All Star ballot was a really cool find. That's exactly what it was, too, a find. As my wife and I were walking out of the show for the evening, I saw this lying on the ground. No one was around, and there was no way to tell whose it was, so it went home with me. Check out all of the Hall of Famers on the ballot (you can click on it to enlarge, Mom). Finally, I was able to pick up 5 high number cards for my 1959 Topps set for $3/each. The above Stengel is probably the highlight of the bunch. Anyway, I am really tired, so I am going to close this entry. I would like it if any NC/SC/VA collectors were able to come by the show and say hello. That would be really cool. 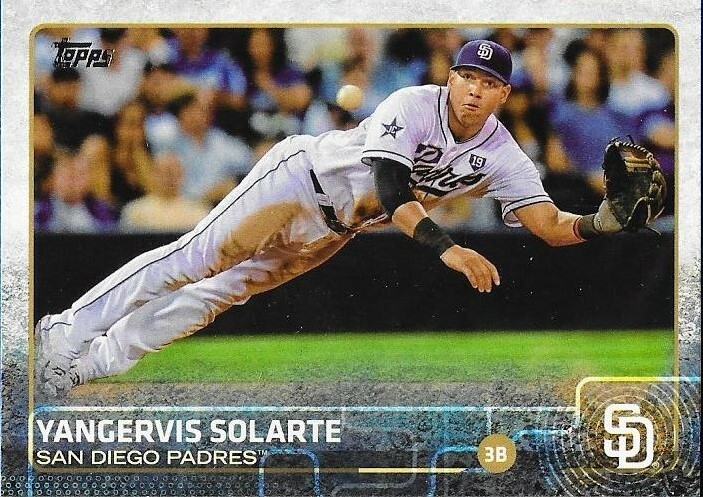 I will have some new 2015 Topps hits and inserts available in the morning. I went to the card shop on my lunch today, because I needed new storage boxes. The ones I have been using for the last 10 years to hold various PCs are looking pretty ratty, so I got three new ones. While I was there, I couldn't help but pick up a pack of 2015 Topps Series 2, even though I have three boxes being delivered to me at the Raleigh Card Show on Saturday. I pulled a black parallel of Astros pitcher, Collin McHugh, but otherwise didn't get much else. I did, however, pull my first 2015 Topps Chris Davis. I will, as always, attempt the rainbow for this, but I know getting the platinum 1/1 is going to be tough. I'm excited to get my jumbo boxes, though. I'll bust them Saturday night after I get in from the show. I will be setting up and selling there, so if you are in the Raleigh area, come on by and say hello (and buy some stuff). 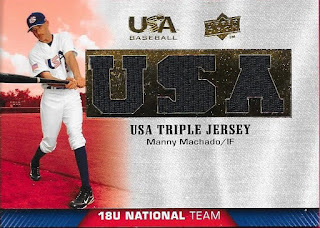 I got this awesome Manny Machado triple relic card for a steal on Ebay recently, thanks to my friend, Fred. He sends me links to ebay auctions every now and then, that I try to jump on, if I am able. I was in the checkout line at Food Lion when I got the message with the link to this card, with 6 minutes to go, and I got it for less than $10.00. Manny is having a great season, so far. Hopefully, he can stay healthy, and remain on the field for the entire season. He sure would have helped out last year in the playoffs. The Orioles are playing amazing baseball right now, and I hope they can keep it up. There is nothing like seeing your guys on the biggest stage. Well, I just finished watching a wild Orioles game. The O's won 19-3 on the same night that three teams ahead of them in the standings lose, two of them also being routed. The Phillies look like a team that is just praying for the season to end. Last night they were shut out, and tonight, they were battered around. I felt really bad for Phillies starter, Jerome Williams, who left the game after 2 outs in the first inning. He strained his hamstring covering home plate on a wild pitch that eventually led to two runs scoring. The Phillies were embarrassed, and it got even worse when they had to use outfielder, Jeff Francoeur, to pitch two innings. He was laboring in the 9th, and really should have been removed, except the bullpen phone was apparently off the hook, and a call to warm anyone up could not be made. Chase Utley was visibly upset, and I'm sure Ryne Sandberg is feeling some heat, although it wasn't his fault. I have a few friends that are Phillies fans, and I felt bad for them. Sure, I won't complain about an Oriole win, ever, but I do know what it feels like being on the other end of one of those routs. I remember vividly when the Orioles lost 30-3 to the Rangers in the first game of a double header in 2007. Talk about embarrassment. I am glad the Orioles won, and have been playing better as of late. I figured I better post about it now, because I have already ranted on them earlier in the season. This is yet again, a good reason to remember that the season is a long one and things can change pretty quickly. I have been cherry picking some products recently during my weekly visits to the card shop. Just a few packs here and there of the newest stuff that comes out, then I head to the shop keeper's office where he lets me look through his boxes of cards that he hasn't yet put out onto the floor. While I haven't had a lot of luck in the packs, with the exception of the nice patch I posted the other day, I have been luckier looking through his boxes. I have found quite a bunch of PC stuff in there, like the two Brooks Robinson cards that I want to show today. 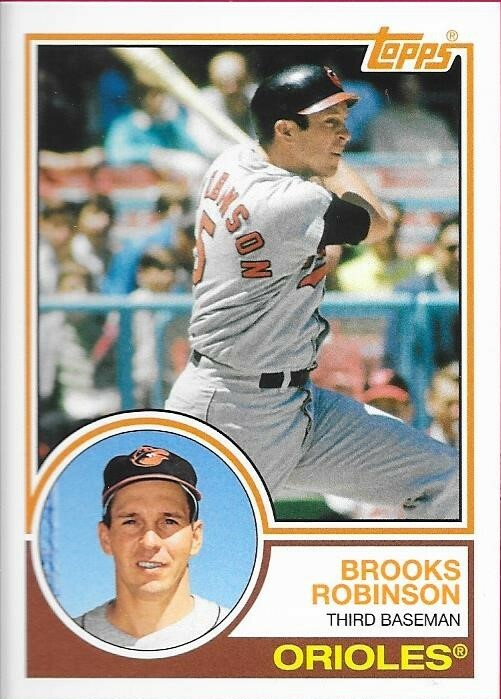 The above 2015 Topps Archives is an awesome looking Brooks card, on the 1983 Topps design. I've said it before, but the 1983 set was the most difficult set I built in 80s decade. I was able to find tons of commons of all of the other 80s sets except for 1983. I never understood why. The set is very nice-looking, and it is cool to see Brooks on that design. 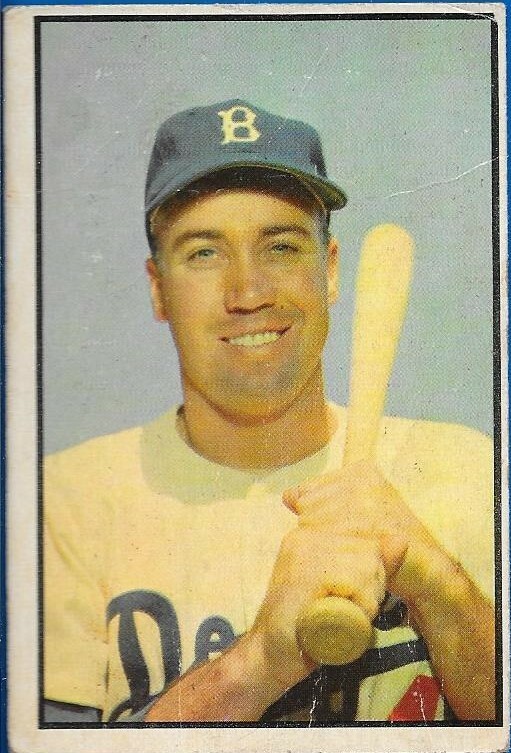 It especially fits, since 1983 was the year in which Brooks was inducted into the Hall of Fame. Another card I found was this 2015 Donruss All-Time Diamond King. I love the color of this card for some reason, and it also looks very sharp. I feel like, regardless of the lack of logos, Panini does a good job with their products. I enjoy searching the boxes of cards at the shop, and while I usually end up buying singles for other people, it is nice to find something for myself every once in a while. I got a nice trade package in the mail on Friday from my buddy, Caleb. I honestly don't remember what I traded him, but in return I got a 1973 Topps Jim Palmer, an Ed Rogers (former Oriole) auto numbered 222/250 and the above Matt Wieters from 2007 Tristar Prospects Plus. I remember when Prospects Plus came out. It was a nice set with first cards of quite a few big names. I opened a bunch of packs, hoping to pull a Wieters and ended up with two Madison Bumgarner autos, and a ton of good cards of guys who are now stars. I had put a bunch of the base cards up and went through them last year. I was impressed with all of the names I had. Good thing I saved them all, and was patient. Thanks for the trade, Caleb! I went by myself to the card shop today because my wife and son are out of town. 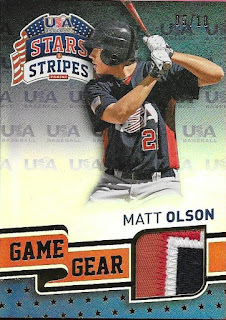 I treated myself to a few packs of cards, and one of them yielded a really nice pull. I love pulling patch cards, and this one is a nice one. Matt Olson three color patch, numbered 5/10 from Panini Stars and Stripes baseball. Stars and Stripes is a pretty good product, especially now that the draft has been completed. Olson was a first round pick (#47 overall) by the A's in the 2012 draft out of a Georgia high school. He has shown a great deal of power so far in the minors, with 76 homers over 381 minor league games. He strikes out a lot, and has a pretty low batting average (.246). He is still really young (21), and would likely be finishing college right about now, so he still has a chance to move up in the A's system. He is currently at AA Midland (GO ROCKHOUNDS!!). I don't think I did too bad with this pull. I love getting patches, and for the $4.00 price of the pack, I am pretty sure I got my money's worth. I got a surprise care package in the mail the other day from my very good friend, Joey. Joey was one of the first group of kids I traded with on Instagram. Joey was the recipient of some sweet Red Sox cards that I had been holding for him, and I guess the care package was in response to that. I didn't send him stuff so that I could get stuff in return, I just liked finding cards for his collection. Joey is such a nice person, it makes helping him out so easy, really. 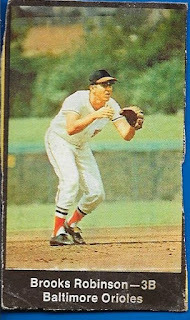 He sent me a bunch of Orioles cards, but some of the most remarkable cards in the package were non-Orioles. 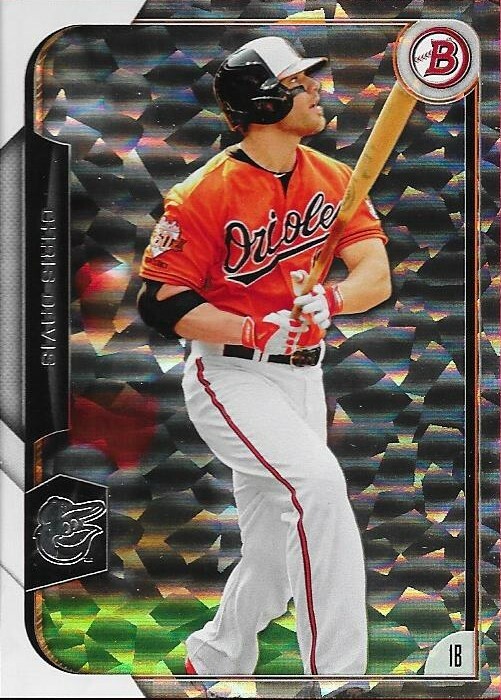 There were 4 of the orange parallel cards from 2013 Panini Cooperstown. The scan didn't really do the Newhouser card justice, but trust me when I tell you, they look nice in person. 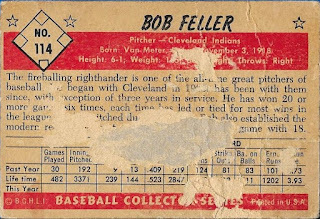 The Newhouser card is numbered 290/325. He is one of those guys, who a lot of folks don't realize is a Hall of Famer. His two AL MVP awards as a pitcher are a huge reason why, but he definitely was a great pitcher in his day. Joey caught me way off guard with this card. 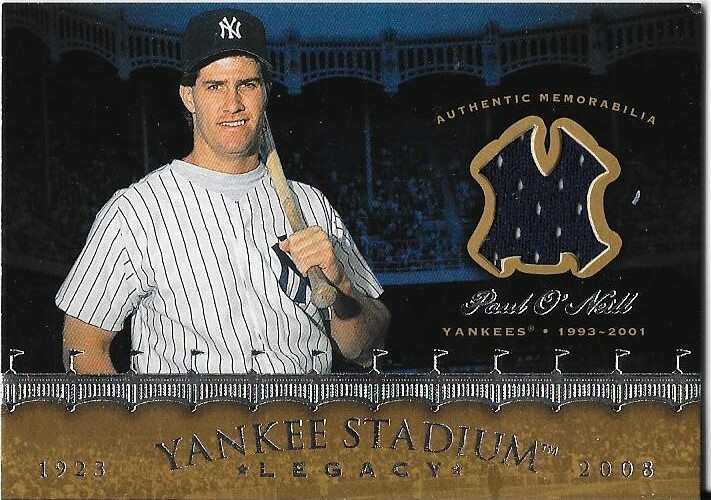 This is a Yankee Stadium Legacy relic card of Paul O'Neill. O'Neill is definitely one of those great Yankee players. While I have a huge disdain for the Bronx Bombers, O'Neill always had my respect. He was just a good ballplayer. I have his auto, given to me by my sister-in-law, since they share a relation (I believe he is married to her cousin). I really appreciate the package, Joey. Thanks so much, but more importantly, thanks for being a good friend. I got a surprise care package in the mail the other day from my friend, Judson. 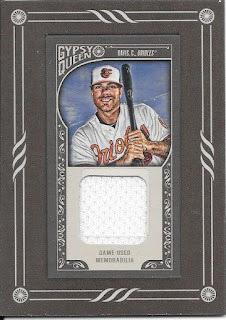 In the package was a lot of awesome Orioles cards that I needed including the above 2015 Gypsy Queen Chris Davis relic. 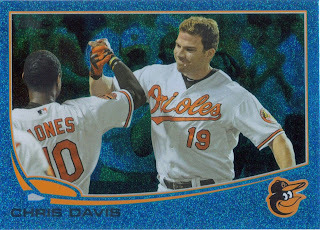 I needed the Davis for my PC and was perilously close to buying one but passed in order to get some parallels from Bowman instead. I'm glad I held off, because Judson hooked me up. The card looks great. I am a fan of this year's GQ; I wish I had the funds to get a box, but I need to save for the National. 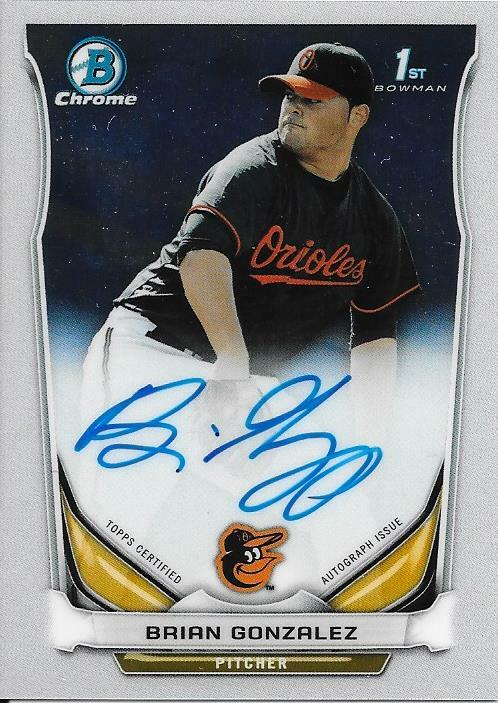 Judson also sent along this 2014 Bowman Chrome Brian Gonzalez auto. Gonzalez was the Orioles' first pick in the 2014 draft (round 3) and has been ok so far in the minors. He was picked out of high school and is currently pitching at Low A Delmarva. He is 3-4 with a 5.20 ERA so far this season. Thanks for the care package, Judson! It was greatly appreciated! I began picking up the new parallels of Chris Davis recently, when I bought this 2015 Bowman orange parallel the other day from Ebay. 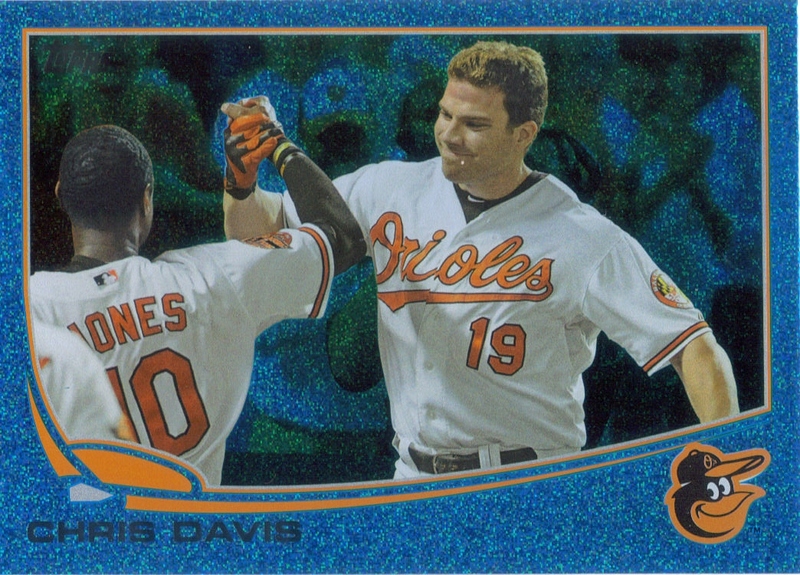 Davis didn't have a base card in 2015 Topps, and I haven't jumped on his Opening Day stuff, yet. I liked Bowman, and figured I would start grabbing the parallels. This card is numbered 17/25 and looks really awesome. I love the orange parallels. 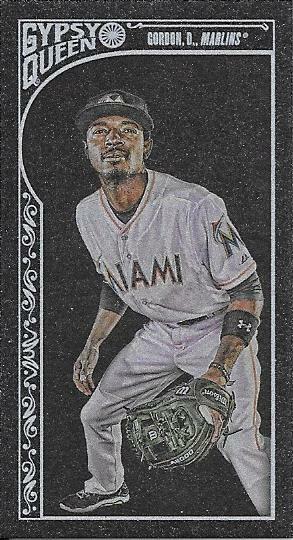 This year's Bowman paper parallels look pretty good, except the silver ones are kind of difficult to differentiate from the base cards at a quick glance. Maybe it's just me. Anyway, I have this one, now, and a few more other parallels on the way. Last Saturday, Chris and I were bored and went to the card shop like usual. Wendell, the shop owner, has a new guy working there named Jacob (who is in his late 20s). Jacob seems like a pretty cool dude, albeit a Red Sox fan. Already, Jacob has a following. One of the other shop owners in the shopping center sends her son into the shop on Saturdays, and he helps out where needed. This Saturday, he was folding boxes. Immediately, he and Chris got to talking, since it appeared that they were about the same age. It turns out, the kid is named Matt, and is 11 years old. So, he and Chris chatted for a bit and played some darts in the back room while I chatted with Wendell and Jacob. I purchased a few packs, and allowed Chris to grab a few as well. Matt wanted to see what Chris pulled, so Chris opened the two packs I got him (a jumbo pack of 2015 Topps, and a pack of 2015 Panini Diamond Kings). Matt really liked the Diamond Kings, so he showed me his box of cards he was carrying around the store. It looked like he had opened a few packs, and had some decent base cards. I noticed really quickly that Matt liked Hall of Famers. 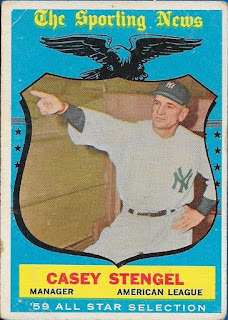 He had made a point of telling Chris that there were Babe Ruth cards in the Diamond Kings packs, but he had yet to pull one. 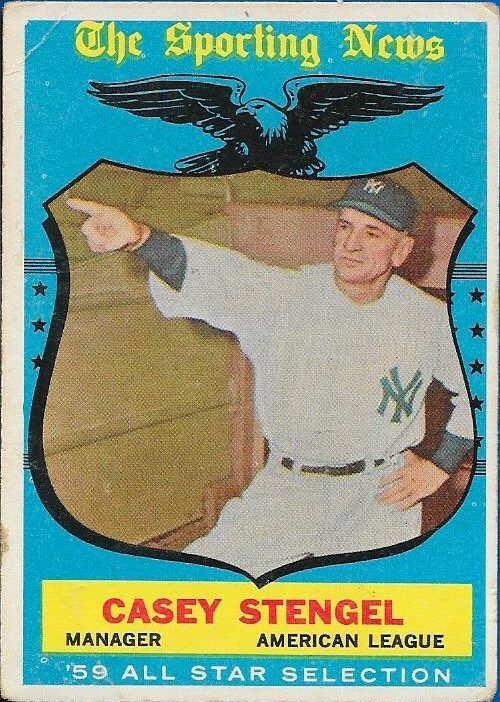 He also made mention that he really wanted a Ty Cobb card. So, I opened my pack of Diamond Kings to see if I could pull the Ruth that he was after. I didn't, but I pulled a couple Hall of Famers that Matt liked. I had noticed a card that he had in his little box that I asked him about. 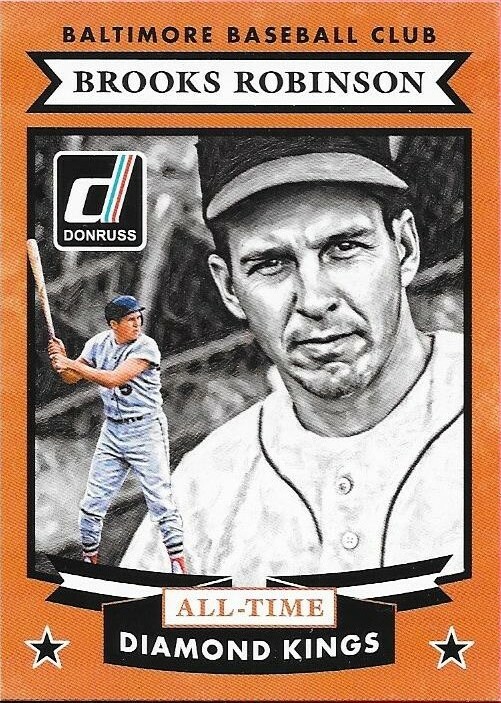 Would he be interested in trading me the Jimmie Foxx, if I gave him a good Hall of Famer. 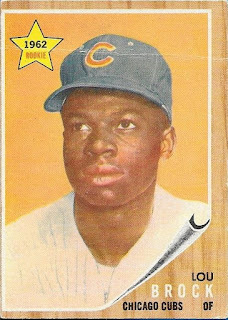 He said he would, so I handed him a Roberto Clemente that I had just gotten out of my pack. He loved the Clemente and quickly handed me the Foxx (shown above). He also handed me a nice David Ortiz, saying "Here, you can have this, too." I thought it was really sweet that this little guy was willing to make trades, and was so happy to have folks to talk cards with, that he gave a free card. I gathered Chris up, thanked Matt for the deal, and the extra card, then said my goodbyes to Jacob and Wendell. I made the quick drive home, put up my cards, then looked through a stack that I had on my card desk; some Hall of Famers that my good friend, Max, had sent me. In it were a few cards I could spare, so I put some in a team bag, along with an Orioles rally towel, then drove BACK to the card shop to surprise Matt. When we got back, I told Matt that I had some stuff for him, so he came from the back room and gratefully accepted the rally towel and the cards. However, he didn't open the team bag. He turned around, and went back to work, since he was helping Jacob assemble storage boxes. It wasn't until he had completed his task, that he went back and opened the team bag. I was really impressed that this young man made sure his job was finished before he sat down to look at some cards. Matt tore open the team bag, and his jaw dropped. What were "base" cards for me, were treasures for him. 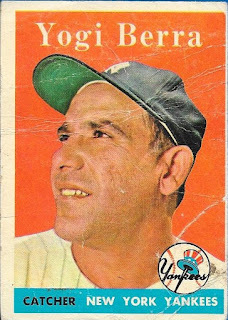 There were 5 Babe Ruths, 2 Ty Cobbs and a Yogi Berra. I wish I had taken a picture of the look on his face, because he was so amazed that he now owned several Babe Ruth cards. I was really happy that I made this kid's day, and hopefully, he will cherish those cards as his collection grows. It was a pretty cool day at the card shop, to say the least. Today is a great day for this blog as the Orioles are expected to select the contract of Nolan Reimold from AAA Norfolk tomorrow before their series starts with Boston. Nolan has battled a neck injury over the last few years that is believed to have occurred when he dove into the stands to catch a bal against the White Sox a few years ago. I've met Nolan several times and his wife, Jenny, is a friend of the blog. I am really happy that Nolan will make his way back to Baltimore. Hopefully, his past injuries are behind him and he can be a huge contributor to the MLB team. 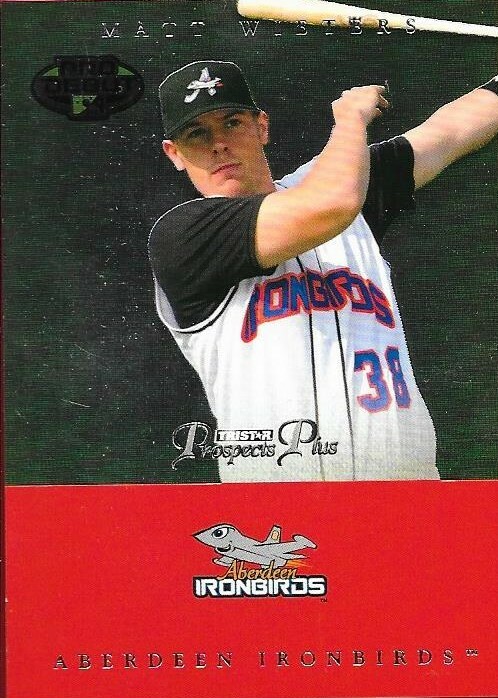 Nolan was batting .286 with 2 homers over 46 games with Norfolk. 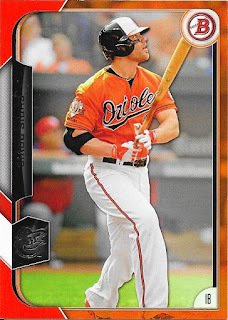 I think the O's will put him in the leadoff position, since he does well getting on base. If that works out, then Manny Machado can slide down to the second slot in the lineup, where he has played much better. 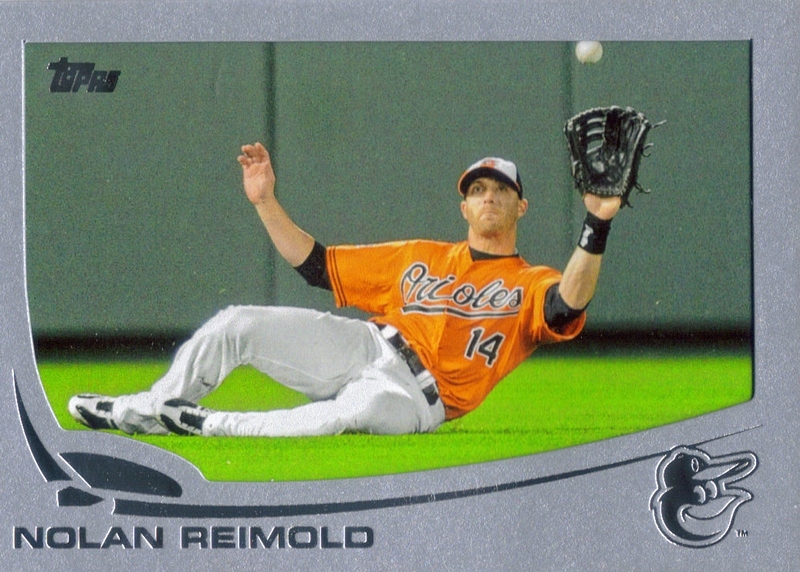 The question is, who gets removed from the team in order for the O's to add Reimold to the 40-man roster? I think Steve Pearce is in danger, but it could be Travis Snider or David Lough, as well. Good luck, Nolan, I'm happy to have you back!! 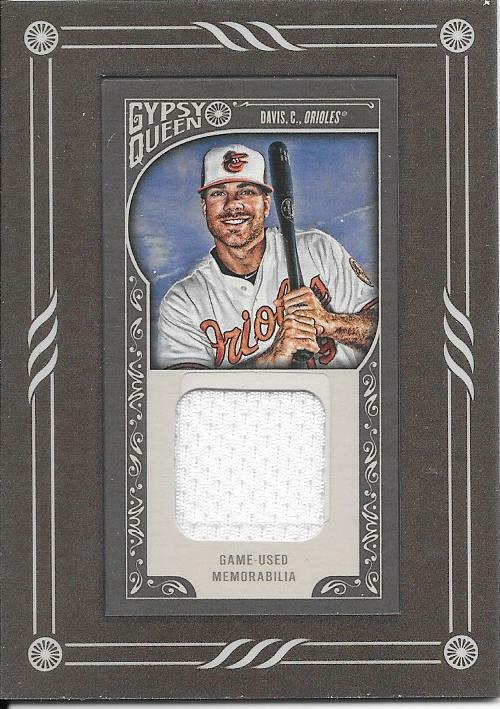 A few weeks ago, I picked up a couple packs of 2015 Gypsy Queen, not expecting to pull a lot, but when the mini card slid out from under the other cards in the pack, I got a nice surprise. 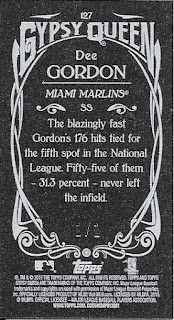 The card was no ordinary mini card, it was this 1/1 graphite parallel of Dee Gordon. The card is incredibly thin. I took it back into the shop and put it in a screwdown for tobacco cards, but the card still slid around inside the case. So, the shop owner cut up one of his business cards to slide behind the card to give it a little more thickness, which worked. The fact that he used the actual card itself to match up with the business card while he was cutting, well, the both of us were wide-eyed as those scissors came down. After it was all said and done, I laughed and said, "You don't know how close you were, with one slip of the hand, to seeing a grown man cry." He looked at me and said "You mean two grown men.."
Wendell is a good man, and I had all the faith in the world that he wouldn't mess up my card. The card is awesome. I really wish it was an Oriole, but Dee Gordon is having a fantastic year. I don't often pull actual 1/1s, so this was an epic pull for me. 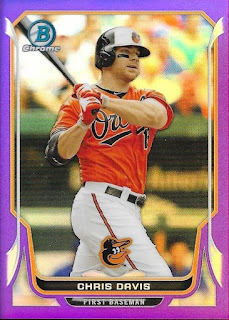 I've had people ask me to trade this, but I believe that I will hold onto it, at lease until I can get the Chris Davis (if at all possible). We all know that Panini doesn't have an MLB license, but that hasn't stopped them from producing quality products lately. 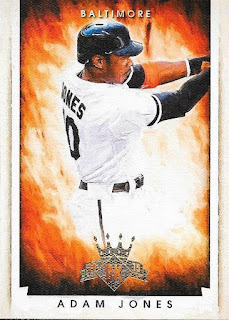 When I opened my first pack of 2015 Diamond Kings, I was amazed. The cards have a canvas, oil painting feel to them, and look really awesome. I've already opened something like 5 or 6 packs of them already, and wouls get a box of them if I wasn't pinching my pennies for the National Card Show. I am really happy with these cards, they remind me a lot of UD Masterpieces, a favorite set of many folks. I may consider purchasing a box at some point, and maybe doing the set. In the meantime, I will enjoy the cards I have gotten of these, so far. I bought this 2014 Topps Five Star Jim Palmer auto off of a guy on Instagram recently for $20.00. The guy I bought it from is the cousin of my buddy Joey, (his name is Drew) so it was a very quick and easy deal. 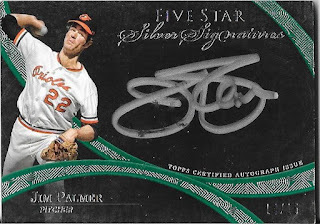 I don't have a lot from Five Star, so adding this card helps out my Palmer PC. It is numbered 14/15, and the signature looks really good, except for the minor bubbling at the bottom of the J. I think I need to look for some more Five Star stuff for my collection. I really enjoyed chatting with Drew. I always enjoy meeting other collectors from NC, and he lives not too far from me. I apologize for not writing over the last few days. I was out of town again for work, and this time didn't take my laptop with me. While, it was a tough few days, it was kind of nice to get into the hotel and not feel obligated to crank out a blog post while my mind was elsewhere. Also, the way the Orioles have played recently has really made me want to step away for a bit and regroup, somewhat. Man, have they been mediocre. Anyway, I did get a little bit of mail in over the last few days, and one of them was a mailer from my good friend, Ben. I saw that he had gotten this Dylan Bundy in, specifically to trade to me, so I did my best to work up something nice for him. I actually overspent quite a bit, but I wanted to do something really nice for Ben, since he is a really good guy. So, I got him a nice Felix Hernandez auto for his new PC, which he was really happy to receive. 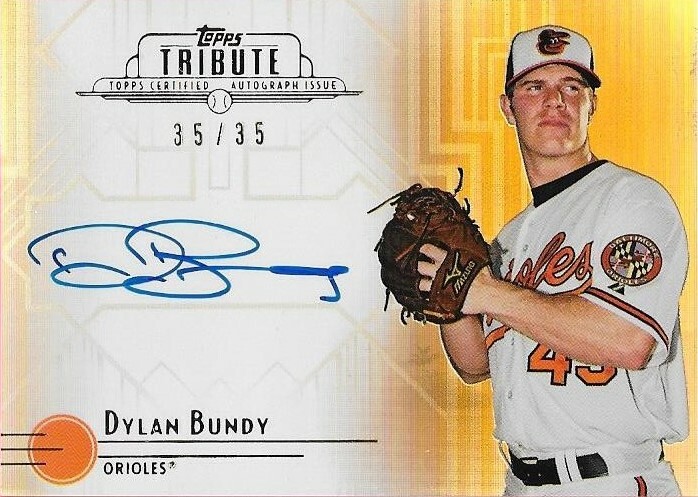 This Bundy is a really nice card, as you can't do too wrong with Topps Tribute (aside from the 2015 version, apparently). 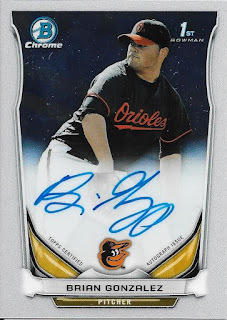 Bundy's signature looks good on this card, and is an on-card signature, not a sticker auto. I'm very happy that Ben and I made this deal, if only because of his response when he saw the Felix. I'm glad I could hook a friend up. Thanks for the trade, Ben!